This fabulous two bedroom first floor flat offers good lateral space along with a fantastic location. 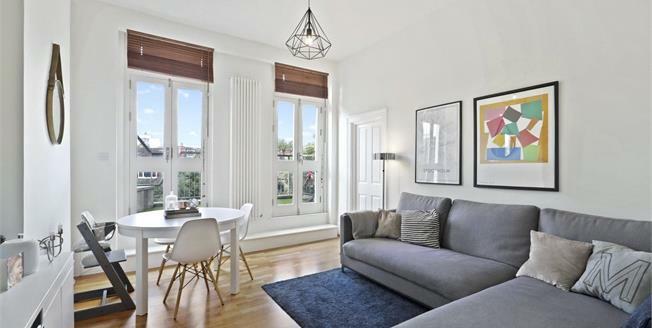 Set within a grand period conversion the property offers two bedrooms, large South-facing reception with wood floors leading out to a large sun drenched balcony, a fully fitted separate kitchen and contemporary three piece bathroom suite. Other benefits include, high ceilings and well-maintained communal garden and off street parking. Located on Fordwych Road, the property is within easy reach of a superb selection of shops, bars and restaurants in Brondesbury and West Hampstead. The nearest underground station is Kilburn (Jubilee Line), also close by are Thameslink and Overground stations offering reliable and regular services into and out of central London and the West End.